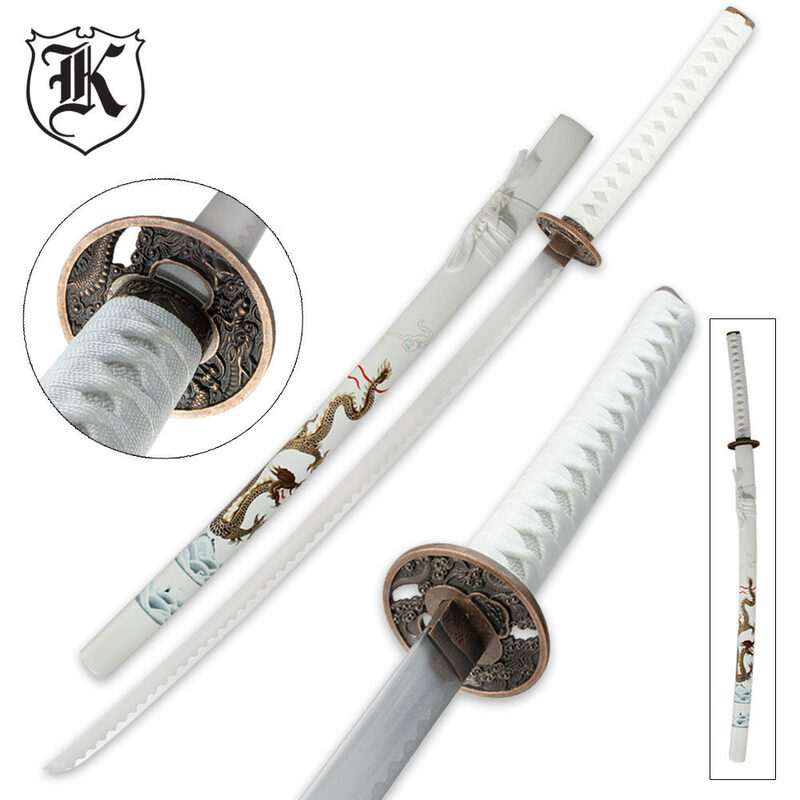 What a winged wonder this mighty katana sword is! 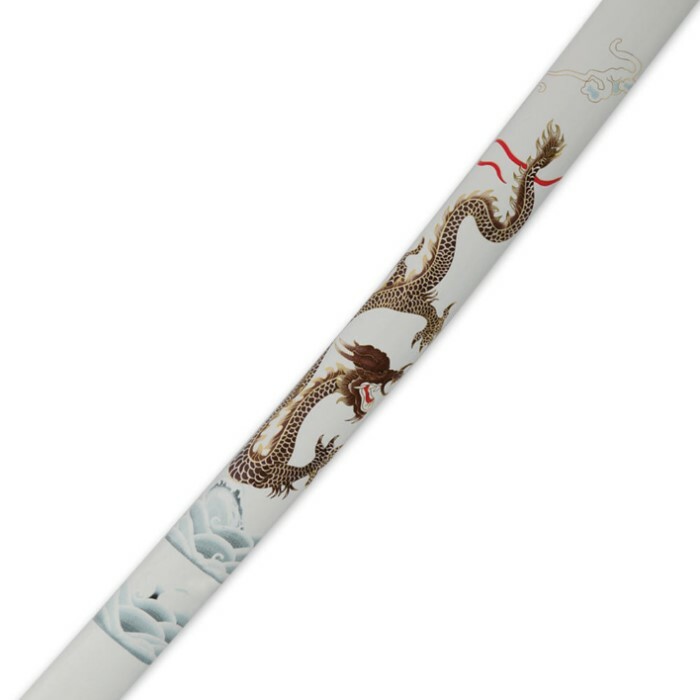 This exquisite design depicts a mystifying winged dragon on the gleaming white scabbard, which houses a massive 26" carbon steel blade. This Oriental treasure can be yours at an unbeatable price point! In traditional katana design, this sword features a cast zinc alloy tsuba and accents for an authentic, custom look and feel. The handle features ray skin and heavy cord wrappings for an elegant finish. 38" overall. Looks good, feels sturdy. Weighted poorly with center of mass about a quarter of the way down the blade, making it very slow to swing. 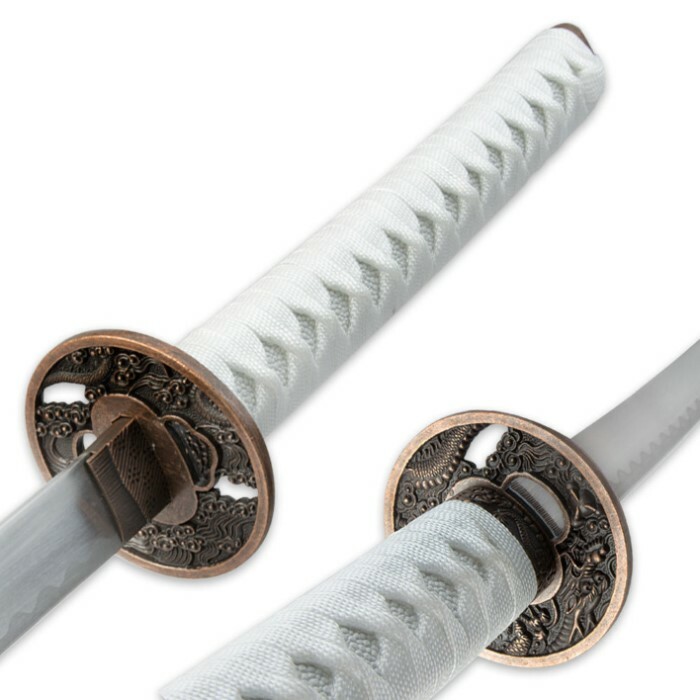 only good for getting the feeling of handling a katana. metal is soft, blade is dull, and doesn't sharpen good.